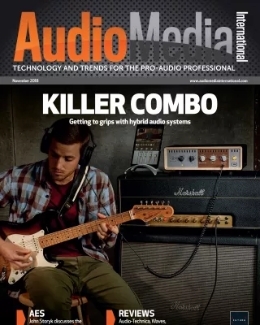 In spite of recent economic struggles, the Latin American pro audio industry has remained steadfast in its offerings and continues to attract big players from all over the globe. In this report, we speak to a few key players in the region and explore the current state of a growing market that is showing no sign of slowing down. Music and dance has historically played an incredibly important role in South American culture. 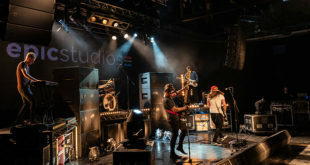 A strong appetite for live music of all genres has led the Latin American ear for high quality sound to become well developed, meaning that, despite the diverse scope of economies across the continent, most LatAm countries stay ahead of the curve when it comes to activity vs. GDP, including the smaller players. The equipment, implementation, and skills present in the region are undoubtedly world class, meaning that over the years, many Latin American engineers have risen to the same heights as top-level international manufacturers. 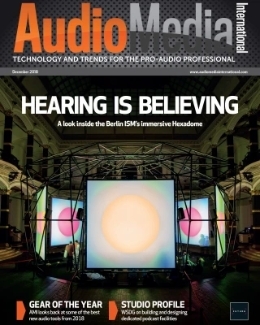 Berenice Gutiérrez, regional sales manager at Pro Active Latin America, distributor of Martin Audio products in the region, sees the Latin American market punching above its weight for technical abilities as well as in sales, and describes it as a very exciting time for Martin Audio and its partners. Gutiérrez believes that the rate at which rental companies and venues are investing in new technology will not slow down, and in fact envisages the opposite: “Not only will top tier production companies stay on top of the worldwide trends, but the lowered bar of higher end performance made possible by the WPC range will continue to make a much more sophisticated range of technology available to regional hire companies and venues,” she observes. Economically, many South American nations have been through some tough times, yet with the continent’s GDP expected to have grown in Q4 2017 and the likes of major player Brazil heading towards the October election later this year, it is hoped that the wider region’s economy will react positively. 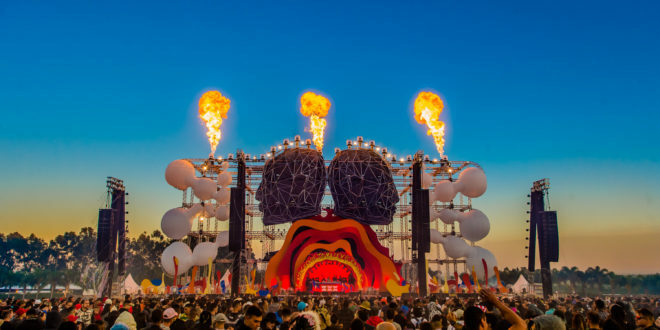 Despite the challenges, the traffic of international headliner shows to Brazil has been intense, according to Edo van Duyn, COO of global festival and event organiser ID&T. While this is a very positive development for the festival space, the wider music industry in the region remains dynamic yet sturdy due to the growth of online streaming, driving further diversity and consumer access to music. Van Duyn sees the market continuing to flourish, following trends and growth in overall music consumption, especially with streaming services (Brazil and Mexico are amongst the world’s biggest Spotify markets).“I think we will also see a shift away from traditional fixed venues to unique locations and venues for shows,” says van Duyn. “Local acts are growing into worldwide mainstream stars such as Anitta, J Balvin, Bruno Martini, Illusionize etc. Many of these acts now sell out venues by themselves; many are stronger ticket sellers than traditional international acts and this is a very new shift in the market. 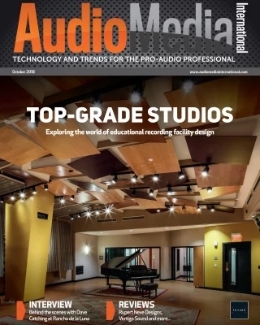 Meanwhile, the market for recording studio design and creation in South America is still experiencing some teething problems, as it remains very different from the construction environments in the US and Europe, with economics often driving the type of acoustic design solutions that are deployed. Historically, the Latin market has been quite reluctant to pay for design, according to WSDG partner and director of business development Sergio Molho. “We believe this is mostly cultural; there is a long tradition in the construction industry for ‘design/build’ solutions – in other words, design being rolled into construction,” he explains. Pursuant to this sentiment, WSDG recently completed a joint design project with João Diniz architects, culminating in the opening of Sonastério, a residential studio carved into the Minas Gerais mountains. 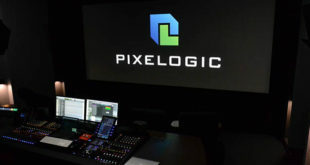 The studio, which houses a SSL SuperAnalogue recording console, is located in a particularly musical area with a healthy jazz community, and supports a local annual jazz festival. When asked how he thinks the industry will develop in Latin America over the next five to ten years, Molho believes “it will continue to be price sensitive, but awareness concerning acoustic and electroacoustic consulting will continue to develop as the growth, maturity and education of the developers, clients, architects and ultimately the users grow”.In Brazil, a new committee called The Brazilian Association of Technical Standards has been recently formed to create standards and regulations for sound system design. WSDG partner and director of design Renato Cipriano, who heads up the company’s Brazilian office, is directly involved with the committee. “Our first achievement was a new regulation for speech intelligibility in public spaces,” he reports. 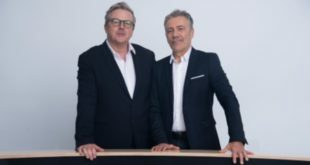 “This is a great step towards emphasising the value of engaging acoustical design expertise at the earliest design stage and raising the bar amongst the design companies. “In the end, the user is the ultimate beneficiary of such development,” Cipriano adds. Despite significant developments and progress being made in these areas, the club and fixed venue scene is perhaps where the Latin American market falls just short of its neighbours. Club owner and promoter Kami Tadayon, who in 2010 founded Lost Beach Club in the small surfers’ town of Montanita in Ecuador, recently added Funktion-One’s Evo 7 and Evo 6 enclosures to his setup, and looks to be trailblazing the South American nightclub scene with his approach to sound. Looking further afield, Tadayon believes that with the current range of products being sold to the South American market, the general quality of club sound is poor: “People feel that clubs just need to be made good enough to open, sell liquor and make money. Chinese brands control the market and 99% of people are more worried about what the place looks like rather than what it sounds like,” he remarks. For Tadayon, investing in a high-quality sound system has brought much attention to his doors and has uniquely positioned him in a market where, despite a robust music business and thriving pro audio community, smaller boutique club venues may still struggle to keep up with the competition. 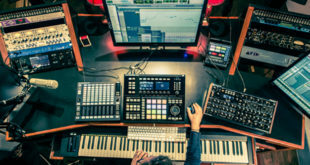 While the continent remains a popular destination for recording artists, party-goers and gear manufacturers alike, particularly countries like Brazil, Argentina, Ecuador and Mexico, there still seems to be a whole lot more room for pro audio professionals to make their mark in South America.